Walton, Ontario, is known as “motocross town” and that would be because of the Walton Transcan and motocross events held each year at the Walton Raceway. Every year Walton seems to add even more events and experiences and this year I was able to head to the first truck mudbog of the year! 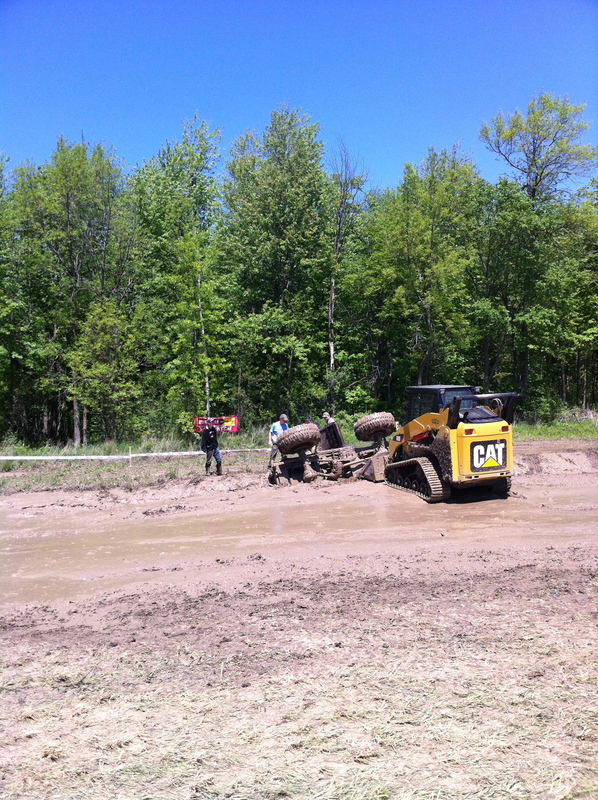 I have been to events like this over the past few years and the event this year sure showed me what a true mudbog is. 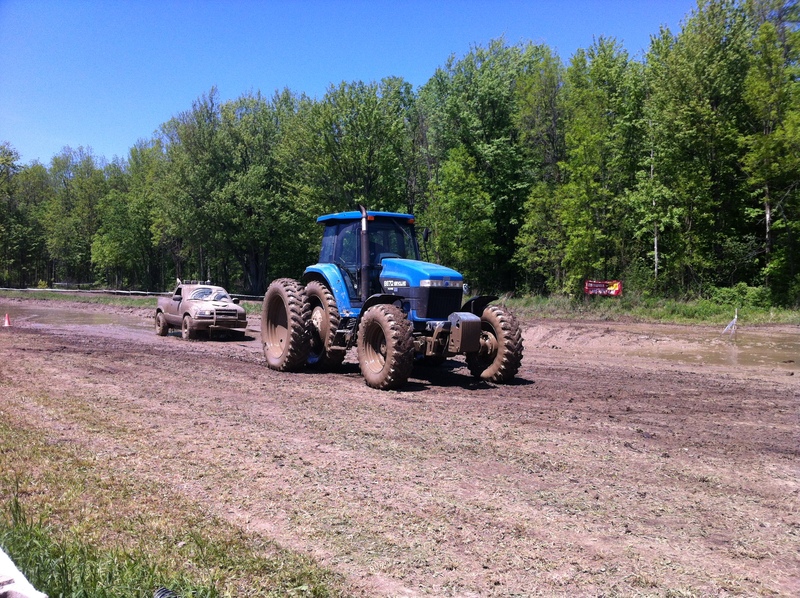 Wikipedia tells me that “a mudbog is a form of off-road motorsport popular in Canada and the United States in which the goal is to drive a vehicle through a pit of mud of a set length.” So mudbogging is part of our Canadian culture! I was only able to stay for about half an hour, but in that time I wasn’t able to take my eyes off of the track. A couple of trucks that went through looked to be an everyday truck and when they get out of the mud there was soo much guck hanging from the bottom of the truck… I can only imagine what people would think if I drove my truck to work in that condition! 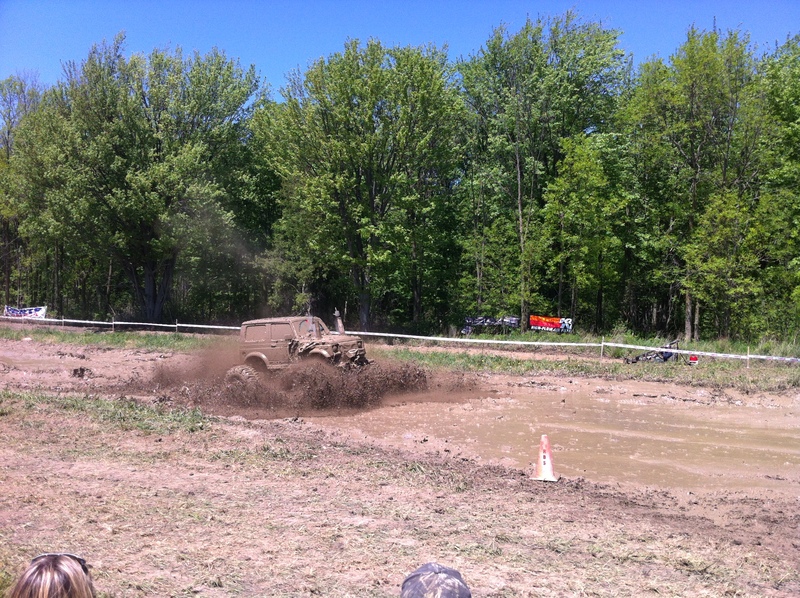 Most of the trucks were modified with mud tires and snorkels (allows air to travel to the engine) and just flew through the mud pit! You may think that this sort of activity is not your cup of tea, but you could be proven wrong. I was with 45 people from all over the place with an age range from 17 – 72, both male and female, and we surveyed all of the people and only two of them didn’t enjoy the experience! Looks like good clean fun. I’ll stop by next time we visit!